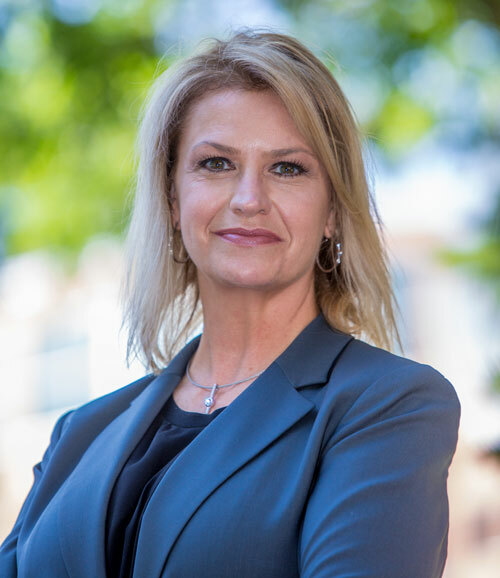 Southern Utah University is excited to announce Mary Weaver Bennett as the new director of the Michael O. Leavitt Center for Politics and Public Service. Bennett brings 25 years of professional experience in Washington D.C to this position. Donna Law, previous director of the Leavitt Center and now executive director of Development and Government Relations at SUU, knows that Bennett is an ideal leader. “Mary’s experience in Washington will provide great relevance to the outstanding students she will mentor,” said Law. “I am thrilled to get to work with her and see how she will elevate the campus activities and community programs for SUU’s Leavitt Center. Bennett began her government relations career as an associate director at the Public Company Accounting Oversight Board (PCAOB), a regulatory body overseeing auditors of public companies. Bennett also worked as a public affairs television writer, created several political education programs for business executives, and is a veteran of several congressional and presidential campaigns including the Clinton/Gore campaign. Her professional experiences span over several institutions, including the U.S. House of Representatives, the U.S. Senate, The Washington Campus, and the PCAOB under the U.S. Securities and Exchange Commission. During her time in D.C., she spent nearly ten years on Capitol Hill working as a professional staff member for several House committees and as a senior aide to Senator Richard Bryan (NV) who served on the Senate Armed Services and Finance committees. Bennett specializes in public policy matters for the financial services industry, including both legislative and regulatory matters, as well as electronic payments, government relations, and communications. She is a graduate of The Pennsylvania State University where she majored in Political Science. Before moving to Utah in 2014, she was director of government and industry relations for the Electronic Transactions Association in Washington, D.C., where she led federal and state public affairs strategy and outreach initiatives. She is currently the President of Red Ridge Consulting, LLC, and serves as an industry expert for BlackLine Advisory Group in Nashville, Tennessee. For more information on the Leavitt Center visit the website.